A couple of years back, after reading Michael Critchon’s Prey, I became really interested in nanotechnology. My interest in this field accelerated when I took a course on the philosophy of medicine and wrote a paper on the ethical considerations of nanomedicine–a longer, and revised version which was published in Spontaneous Generations journal. I also corresponded (and later met!) with Fritz Allhoff, one of the leading scholars on nanoethics and society. As you must have figured out by now, I decided not to embark on nanotechnology for my dissertation. 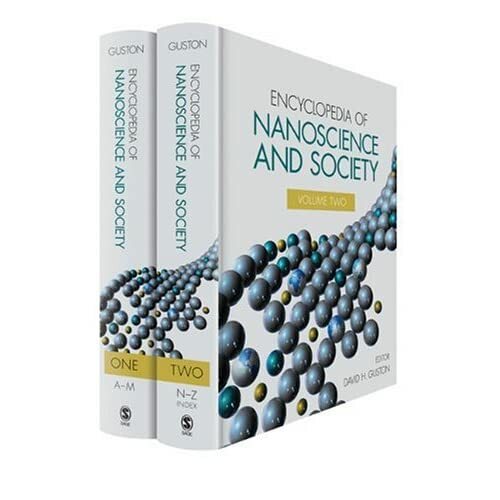 I am pleased to announce that SAGE books has published a wonderful reference encyclopedia, The Encyclopedia of Nanotechnology and Society, edited by David H. Guston (Arizona State University). And guess what? I have two contributing articles in there! One is on K. Eric Drexler’s Engines of Creation: The Coming Era of Nanotechnology (1986), and the other on The Nanoethics Group, a non-partisan organization based in California Polytechnic State University (San Luis Obispo) and founded by Patrick Lin and Fritz Allhoff. I’m excited! They’re not very long articles, but I’m pleased to be part of a significant and exploding scholarly field!